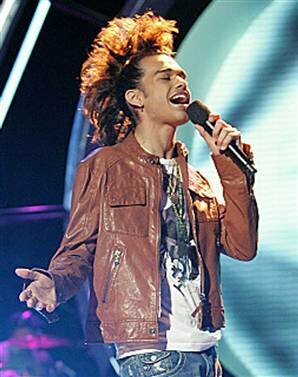 Sanjaya's American Idol CD album "Sanjaya Malakar", and some singles were offered on iTunes starting June 10th, 2007. The Sanjaya Malakar album has reached Top 100 Pop Albums in sales. Sanjaya and his sister, Shyamali, are planning to sing together in the future. He plans on going to the Berklee College of Music with her. Haley released an album in 2008 called "StrongHeart", but we haven't been able to hear it yet. She is currently working on original material. One song 'When It Rains" has been performed on American Idol Extra. Chris signed a solo deal with Brash Music. The resulting album, titled "Running Back To You" was produced by Brown Bannister, who has won multiple Grammy and Dove Awards. His first single spent nearly 4 weeks in the top 10 on the iTunes Christian/Gospel chart, while his first week sales for the album came in at 4,100, making him one of the top Christian debuts of 2008 to date. After American Idol, Stephanie recorded a charity single called "On Our Way" which became available in early-October 2007 as a CD single on eBay. Sales of the album benefit the Leukemia and Lymphoma Society's Light the Night Walk. Her second single, "Here I Am", was released in April 2008. On May 12, 2008 Brandon guest starred on the crime drama Bones on FOX. Brandon is set to appear (as a recurring character) on a web-oriented series, "Valley Peaks".